Looking tamer than the 8 Series concept, the upcoming BMW 8 Series has been exposed before its official reveal. It now features a more conventional front bumper and redesigned mirrors with integrated turn signals. 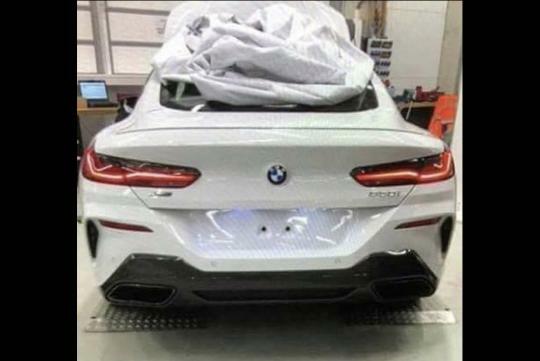 Despite the low quality photo, it is clear enough to see the model pictured here is wearing a 850i badge. Using the 750i as a gauge, the 850i might be using the same 4.4-litre turbocharged V8 that produce 445bhp and 648Nm of torque. 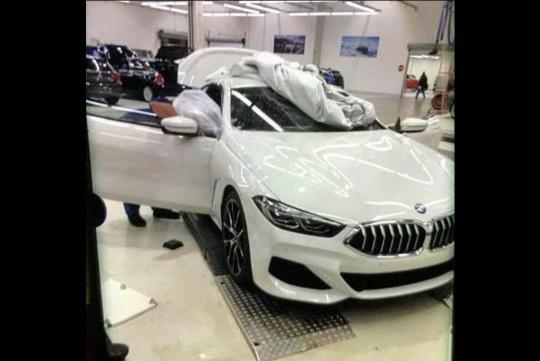 Set to be launched later this year, the 8 Series is set to get an M version that will have in excess of what the current M5 has in terms of power. The M5 develops 592bhp and 748Nm of torque.